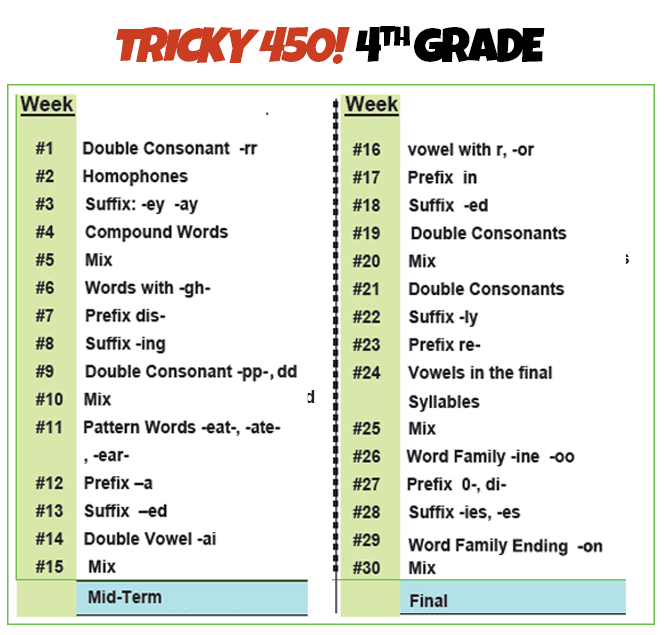 Tricky 450! 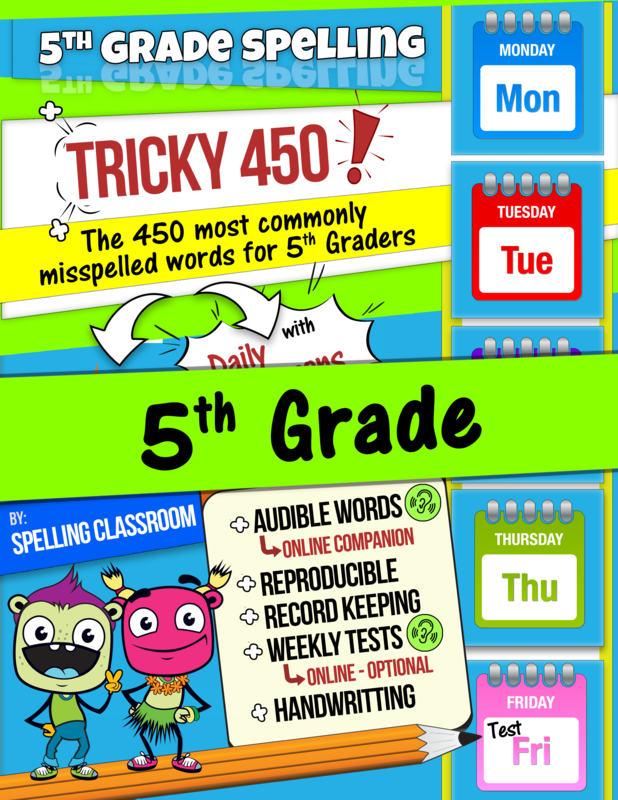 represents the 450 most often misspelled words by grade. These are the toughest, meanest and most problematic words out there so if your young learner can tame this cumbersome Tricky 450! 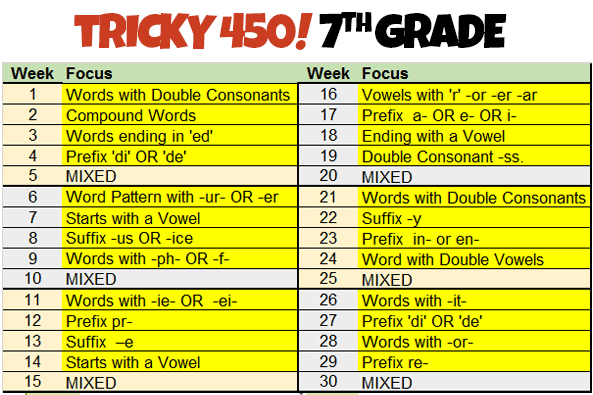 word list, he/she is on the path to spelling enlightenment. But, seriously, this is THE list your student should know. 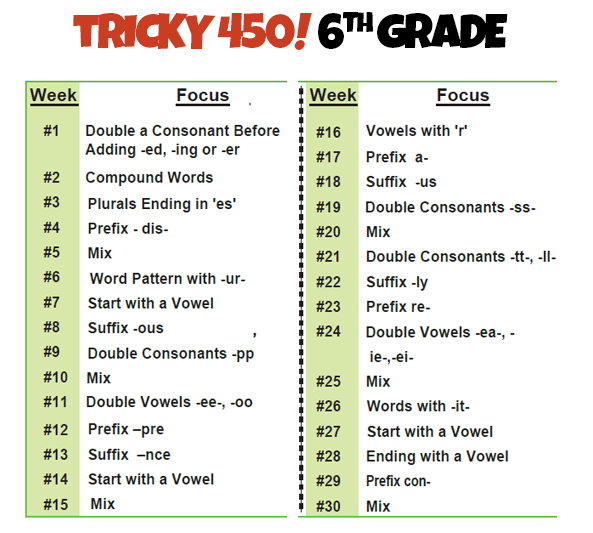 And if they can master Tricky 450!, the rest will be a piece of cake. 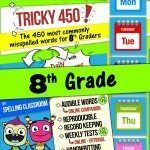 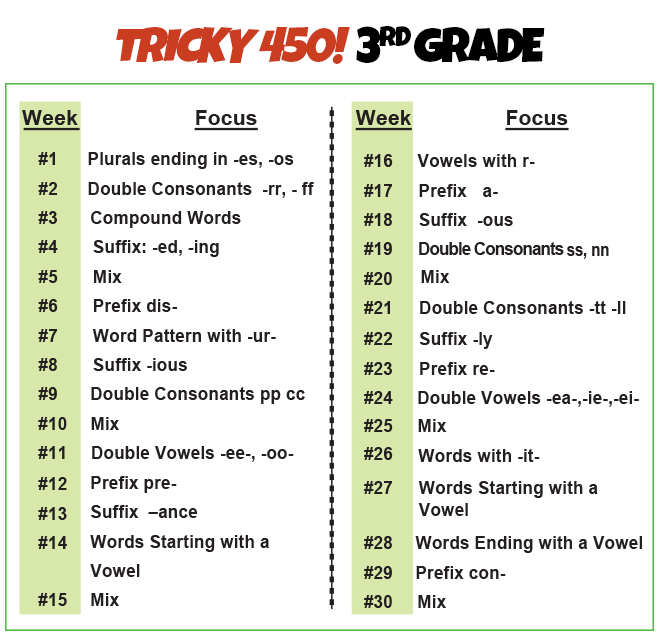 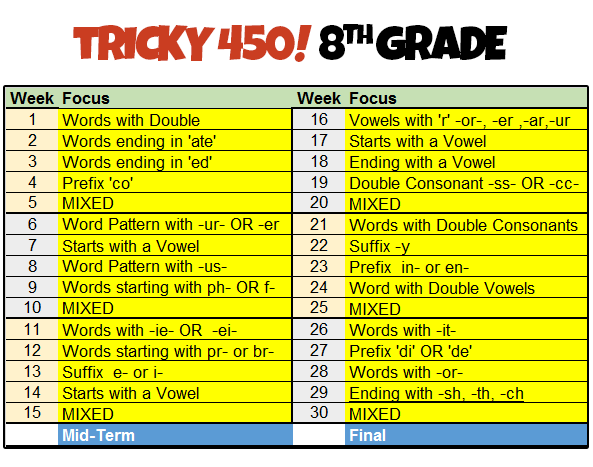 Tricky 450 Word List Focus by Grade.